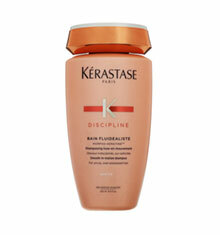 Kérastase Discipline Fondant Fluidealiste advances disciplines impressive ability to morphe unruly hair with a velvety finish, fluid notes and exceptional smoothness. A surface-morphing polymer envelops the surface of every fiber with a protective film, lipid softening agents work at the heart of the fiber to provide suppleness, nutrition and strength. Once rinsed and dried the transformation is flawless. 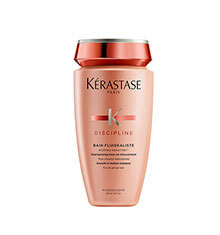 Hair is stronger, liberated and is beautifully rhythmically in motion. 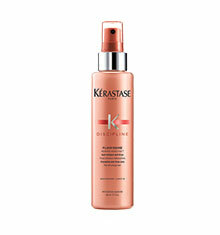 Apply to cleansed, towel-dried hair. Leave on for 1-2 minutes. Rinse carefully. 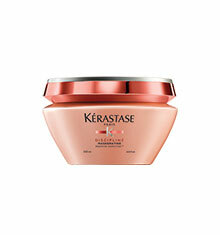 For thick to normal unruly hair types use Kérastase Discipline Masque.